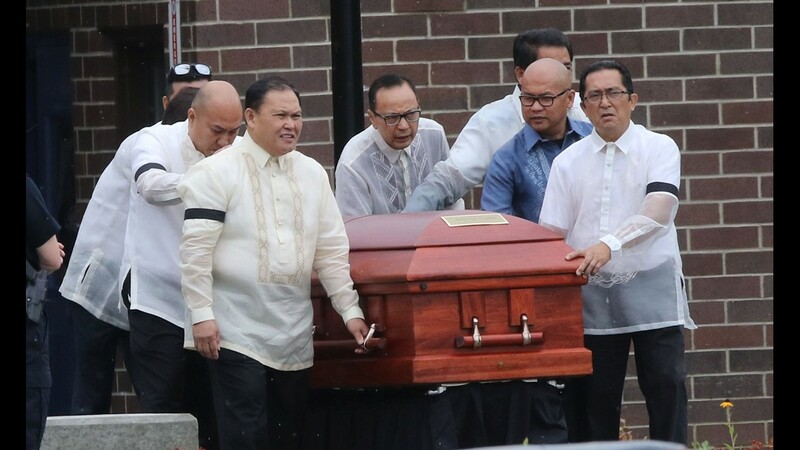 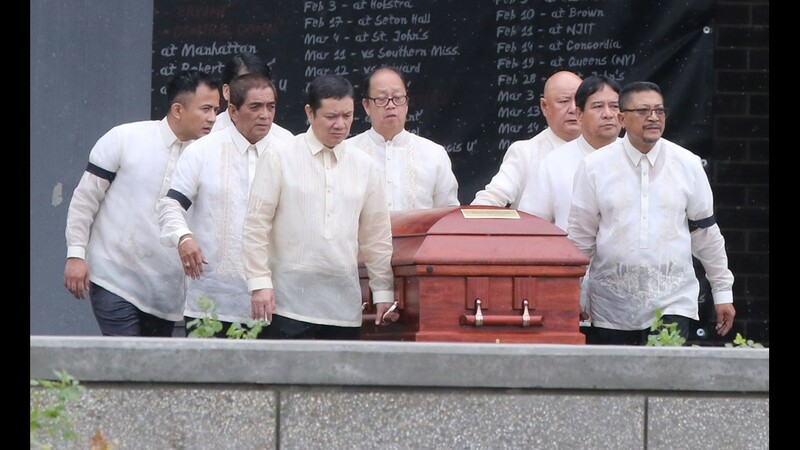 The casket containing the father of the four girls Audie Trinidad is taken from the Rothman Center to a waiting hearse at the conclusion of the Mass. 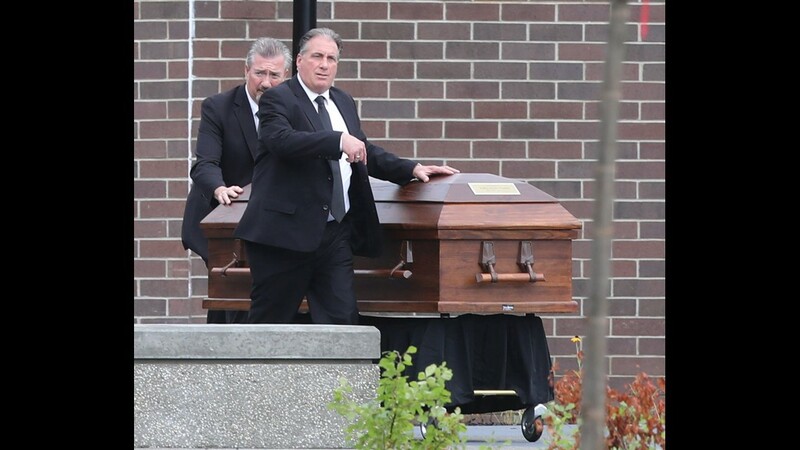 The casket of Kaitlyn Trinidad is taken from the Rothman Center to a waiting hearse at the conclusion of the Mass. 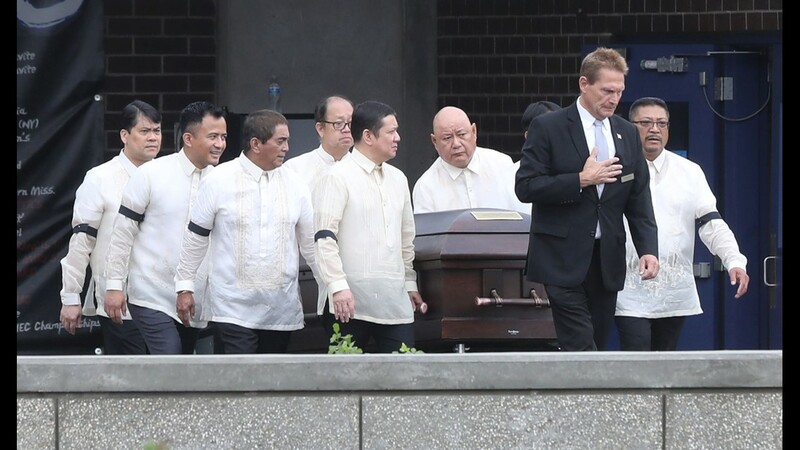 The casket containing Danna Trinidad is brought from the Rothman Center to a waiting hearse at the conclusion of the Mass. 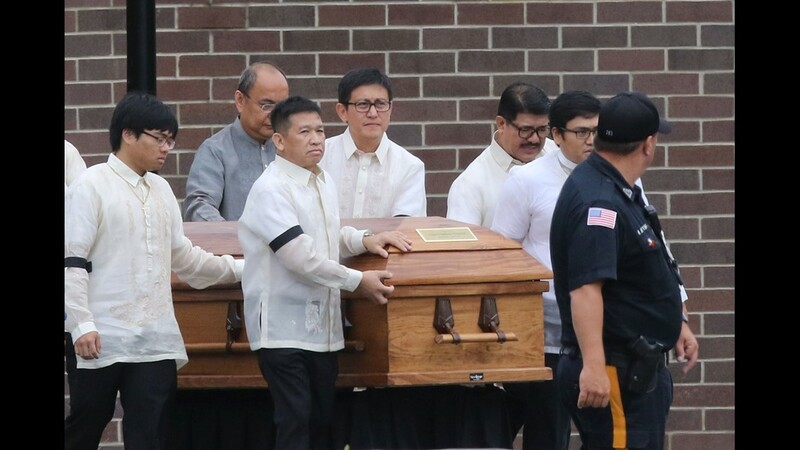 The casket containing Allison Trinidad is brought from the Rothman Center to a waiting hearse at the conclusion of the Mass. 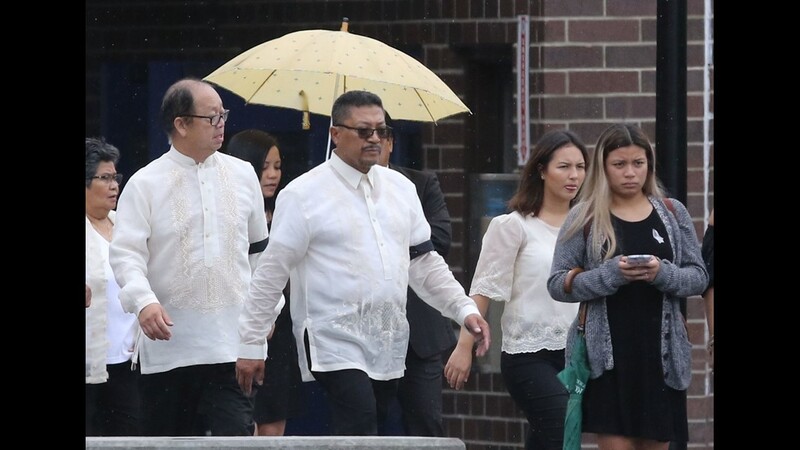 The casket containing Melissa Trinidad is brought from the Rothman Center to a waiting hearse at the conclusion of the Mass. 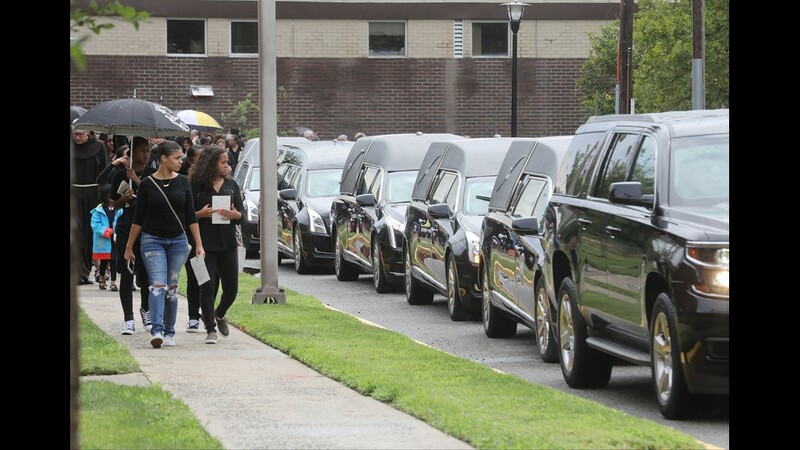 This who attend the Mass exit the Rothman Center where they remembered the Teaneck family. 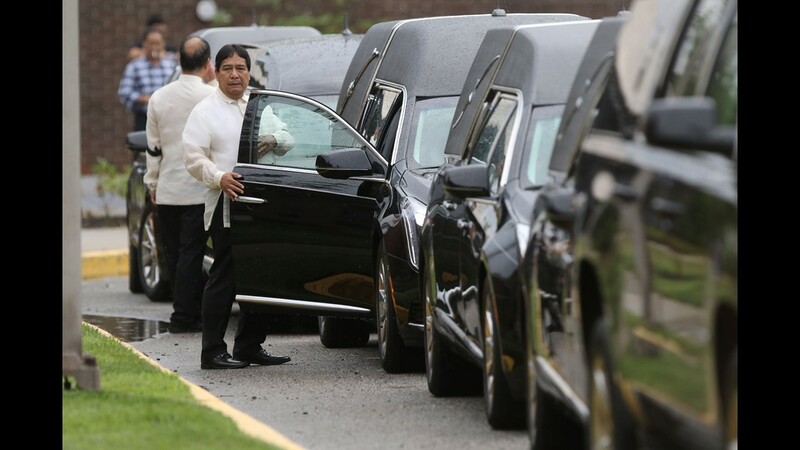 The five hearses containing the caskets of the Trinidad family are lined up for the funeral procession. 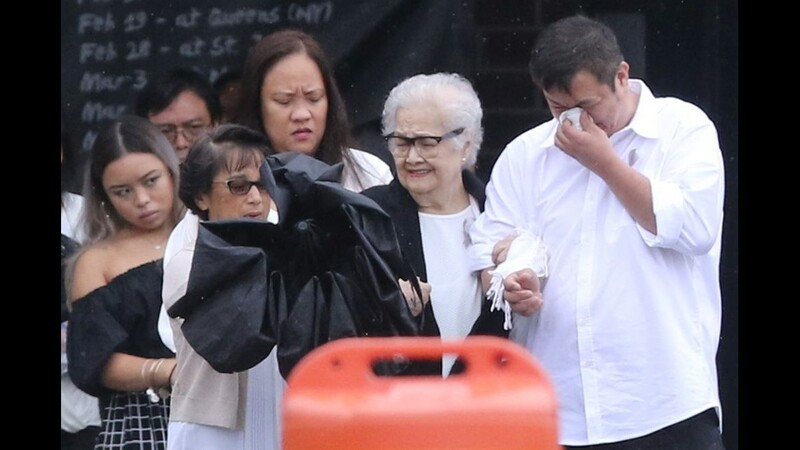 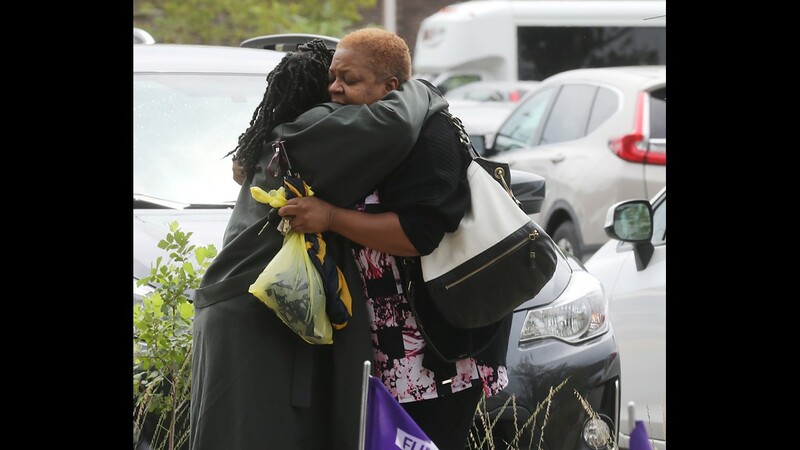 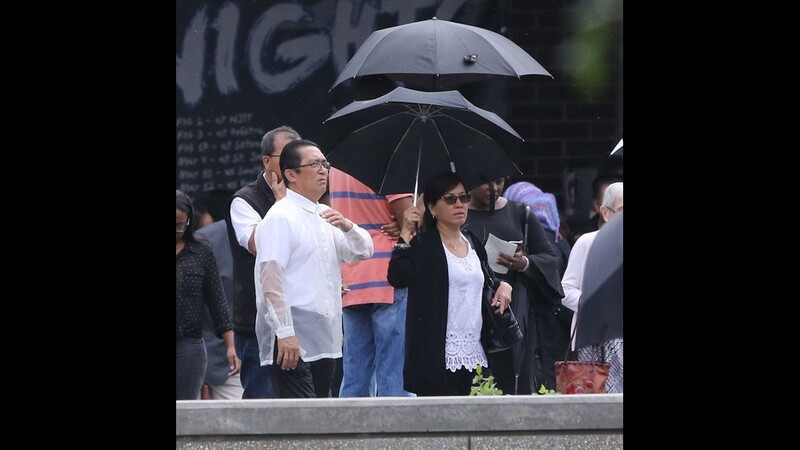 Mourners embrace each other at the conclusion of the Mass to remember the Trinidad family. 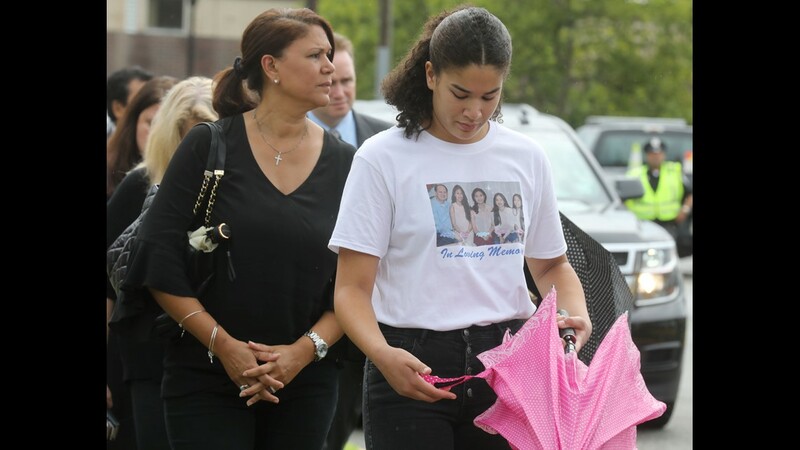 Family, friends and supporters of the Trinidad family exit the Rothman Center at the conclusion of the Mass.